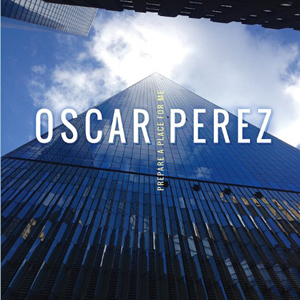 Oscar Perez is a perfectly attired pianist, whose own life story makes this achievement all the more striking. But looking at a photograph is very different from going to a performance or listening to his recording Prepare A Place For Me. The statuesque poise is transformed into an intensity that has both a meditative lyricism about it as well as a joyful momentum. Mr. Perez is one of a kind. His singularity conveys his febrile qualities with such naturalness, as is vividly demonstrated in his excellent compositions on this recording, in particular on the title track of this disc, which appears to come from somewhere deep in both his body and soul. Never has its emotional world sounded quite so beautiful. The song is a miracle of colour and nuance and utterly magical. 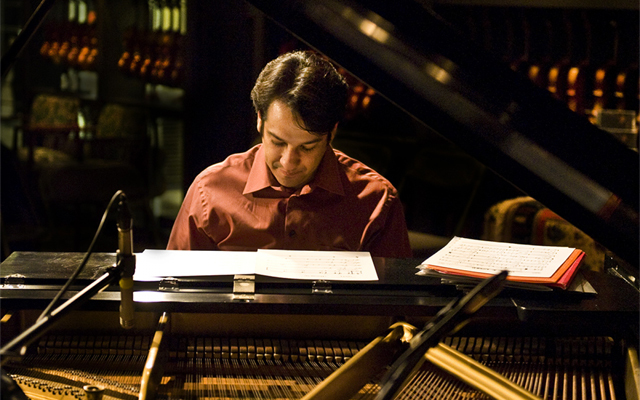 While some pianists of his generation dream, Oscar Perez beguiles with the sheer beauty of the piano’s sound. And that assurance is borne out by the works on this disc. His playing in every piece is unfailingly musical and thoughtful, technically polished and well phrased. But nothing can prepare you for what and how he plays on this album. There is no version of ‘Round Midnight, for instance, like the one that Oscar Perez plays here with his quartet. Who would have imagined a version of the song that digs into flamenco sound to actively describe the melancholia of a loneliness could sound as elementally beautiful as the original version as imagined by Thelonious Monk. And then there is Oscar Perez’s most classic chart on this album – The Nearness Of You. His version compares very favourably with Keith Jarrett’s version of the tune. And on other charts as well there is a certain distinguished authority in his performances. This is aided and abetted by his partnership with bassist Thomas Kneeland and the wonderful drummer, Alvester Garnett as well as with the saxophonist Bruce Williams (on five tracks). Now there are a slew of piano recordings that have been released this year. So why buy this disc? Take Prepare A Place For Me. Here Oscar Perez reaches a level of playing that could only be described as spiritual. After all this title is a direct reference to the thief on the cross whose faith saved him. But there is more. This is not a statement derived from the fact that the song is an attempt to reach heavenward but a sincere reaching out to The Divine. This track is almost as celebratory as a Psalm. It is probably a result of a musical epiphany as well. Yes, I admit that I am setting up the pianist for some extra scrutiny because he is claiming the spirituality of Gospel-inflected music but this is the beauty of his inward-looking and quiet eloquence of the sheer rapture of music. His repertoire choices are also revealing. Finally there is the manner in which this repertoire is executed. Oscar Perez finishes the music with extraordinary gossamer-like sheen. He is generally fastidious about his choice of notes as well as a good shepherd of where the music ought to go, which is nowhere if not deep into the consciousness of the listener. He wrings every ounce of emotion from these fundamentally austere pieces. This is cushioned in the most beautiful sound where he unflinchingly lays bare the heartfelt nature of each composition. This is such thoughtful and thought-provoking playing. Oscar Perez at his best, in other words, is quite something. Track List: Just Everything; ‘Round Midnight; Headin’ Over; Snake Charm; Message To Monterey; The Nearness Of You; Prepare A Place For Me; Mushroom City; Song For Ofelia. Personnel: Oscar Perez: piano; Thomas Kneeland: bass; Alvester Garnett: drums; Bruce Williams: alto saxophone (3, 4, 7-9).